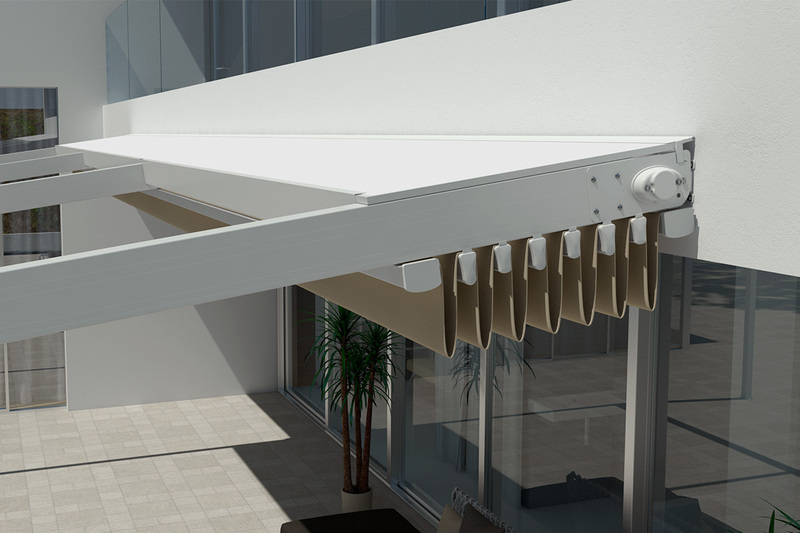 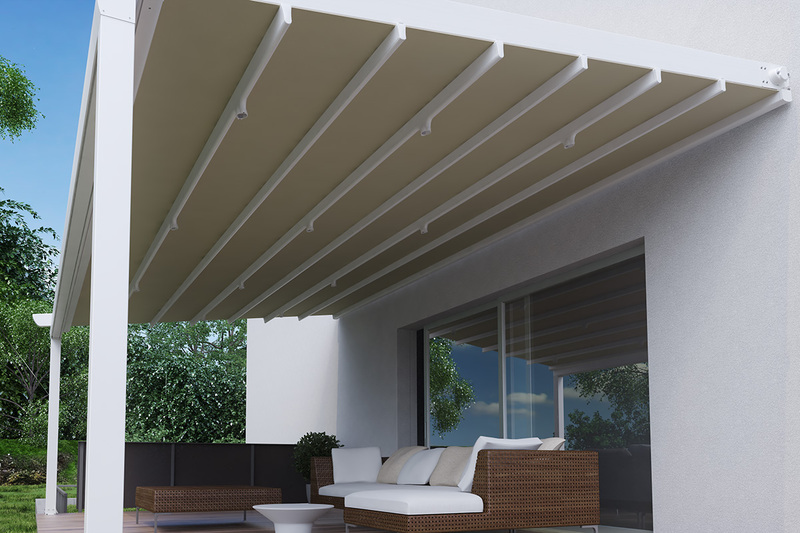 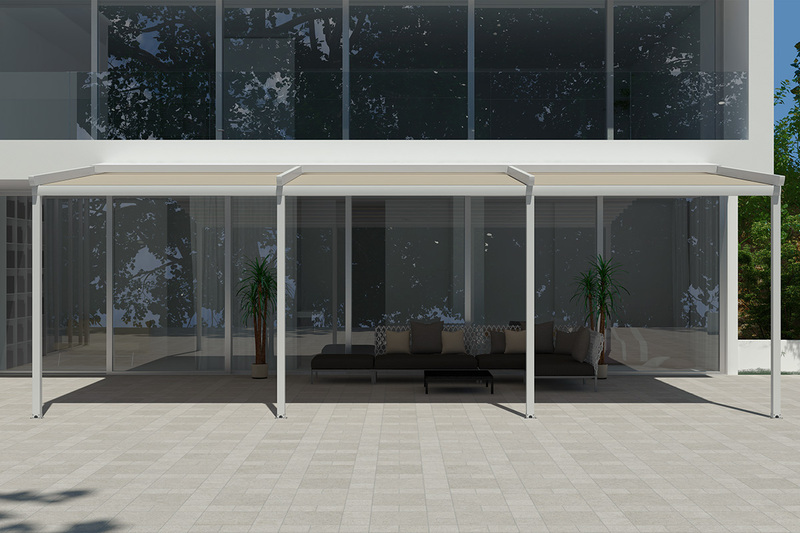 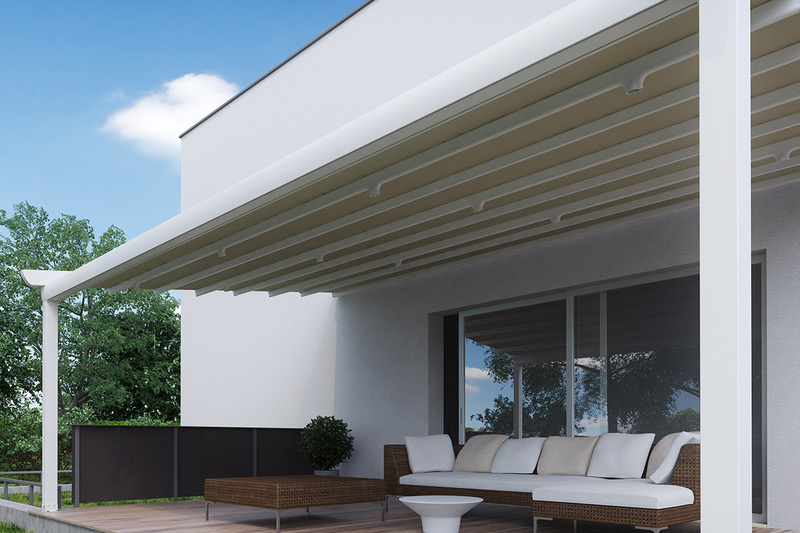 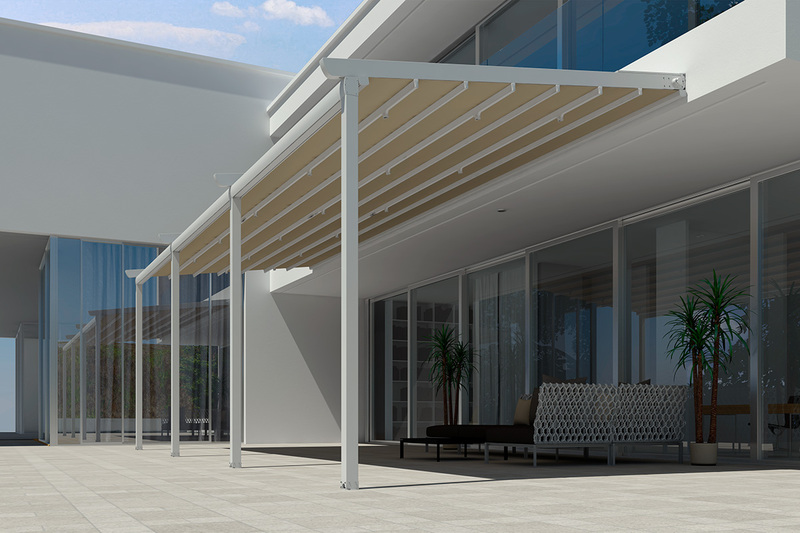 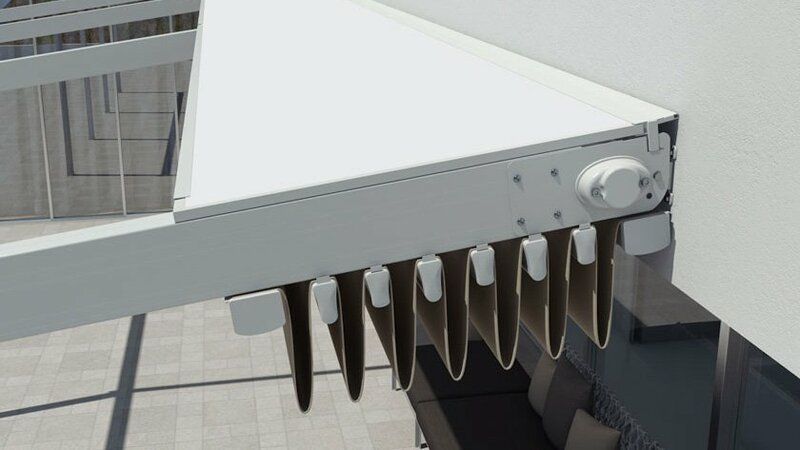 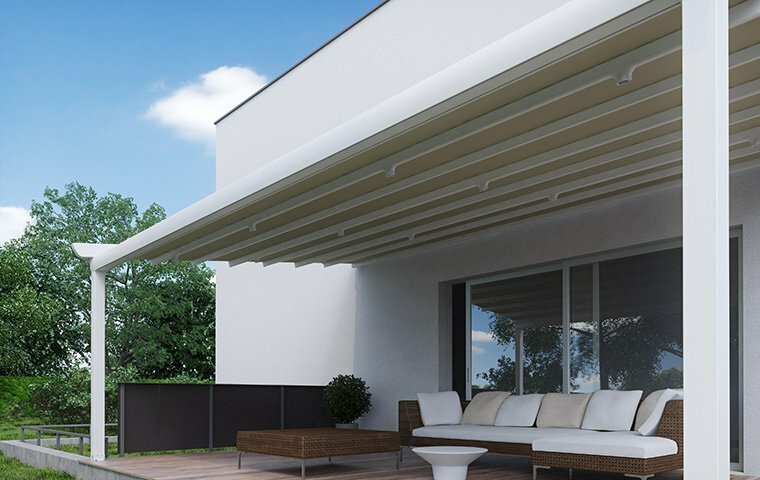 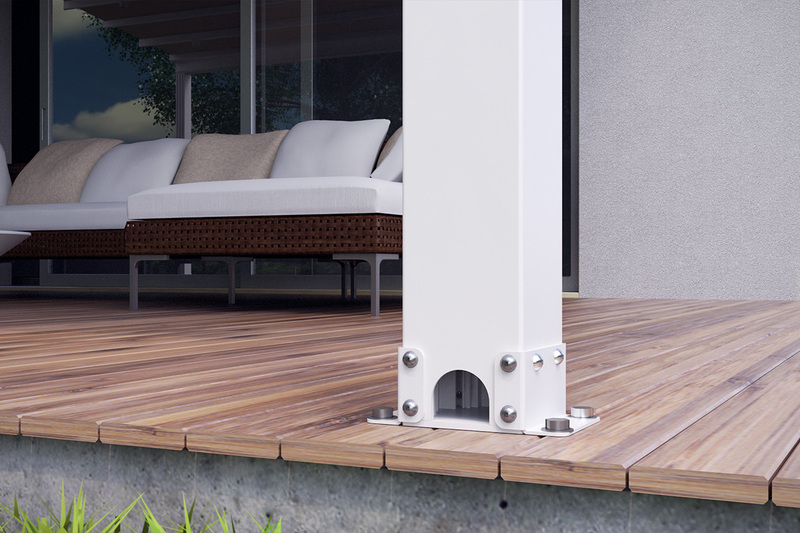 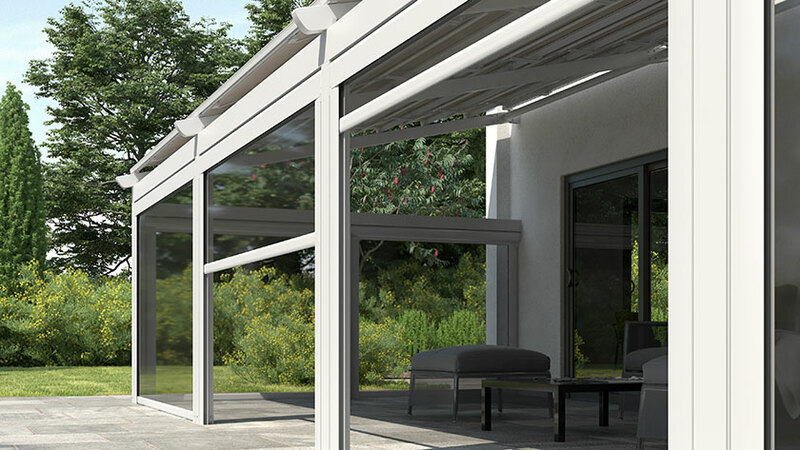 A new, pioneering pergola, exclusively designed by Metaform S.A.
when maximum capability of coverage of external spaces is required. 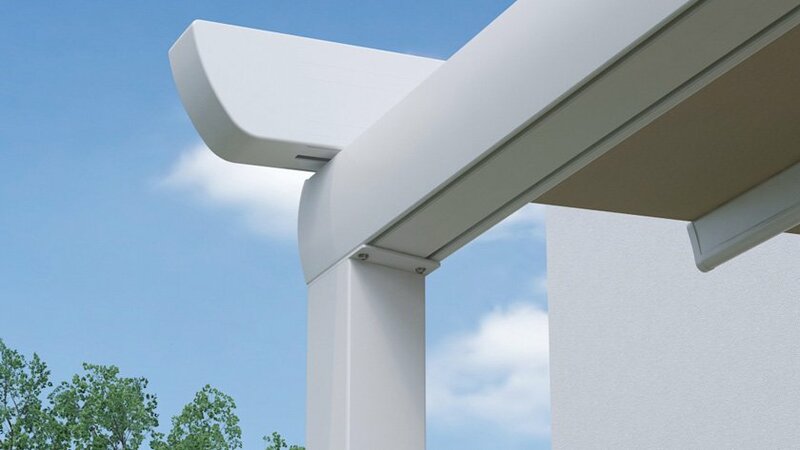 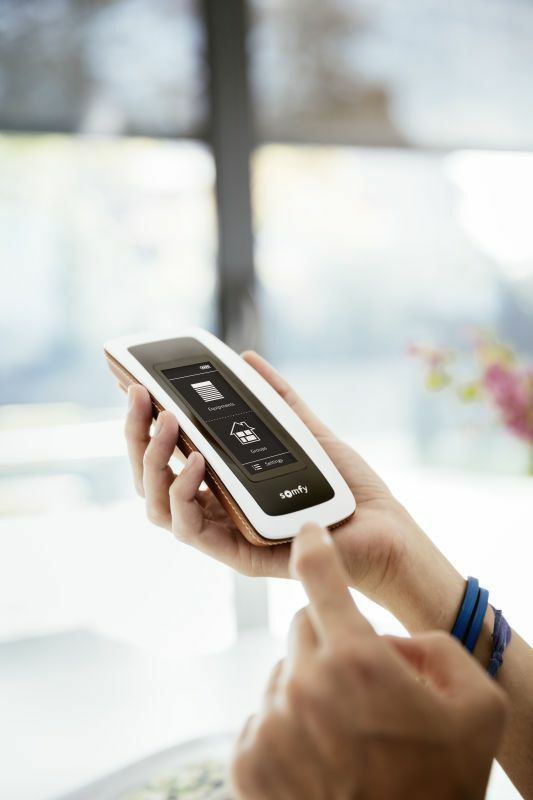 Reinforced construction and improved aesthetics wherever maximum coverage of external spaces is required. 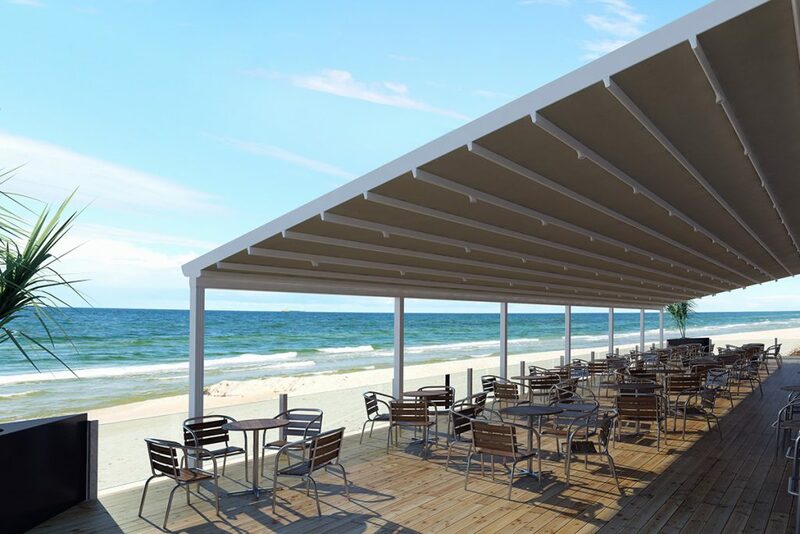 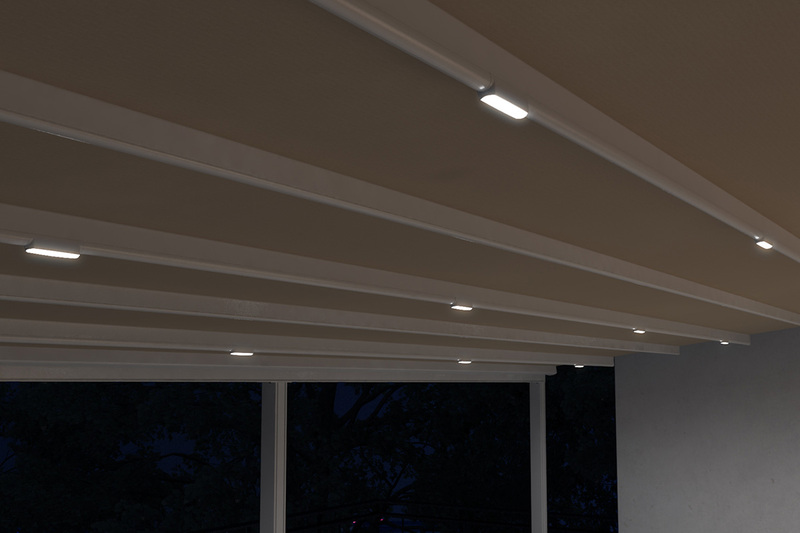 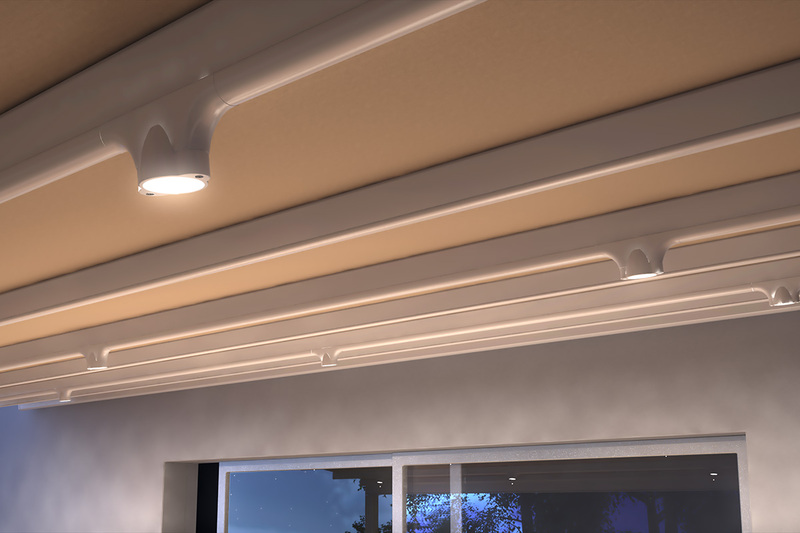 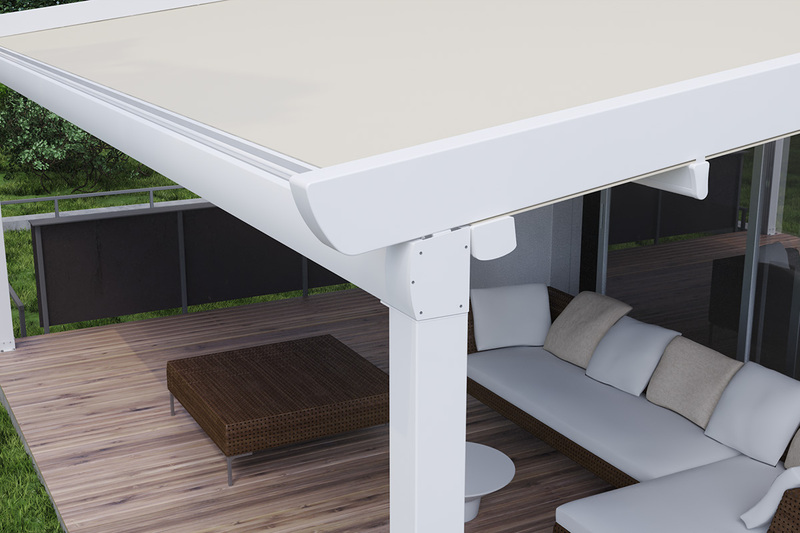 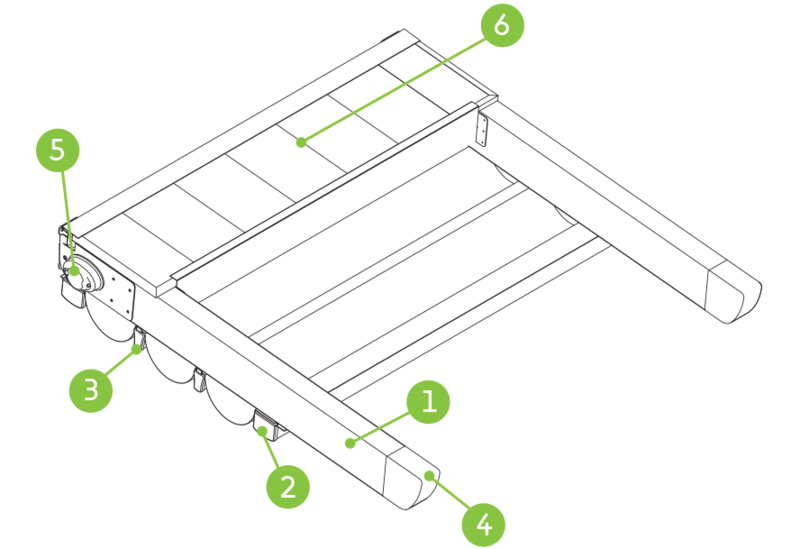 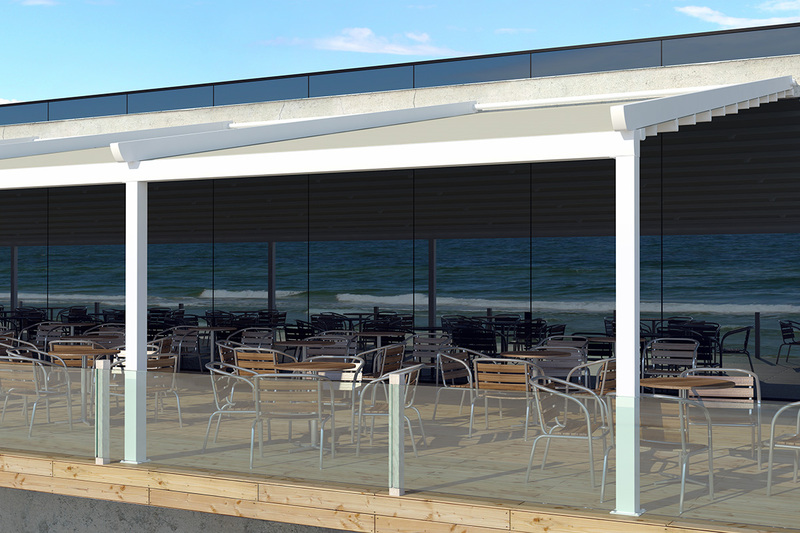 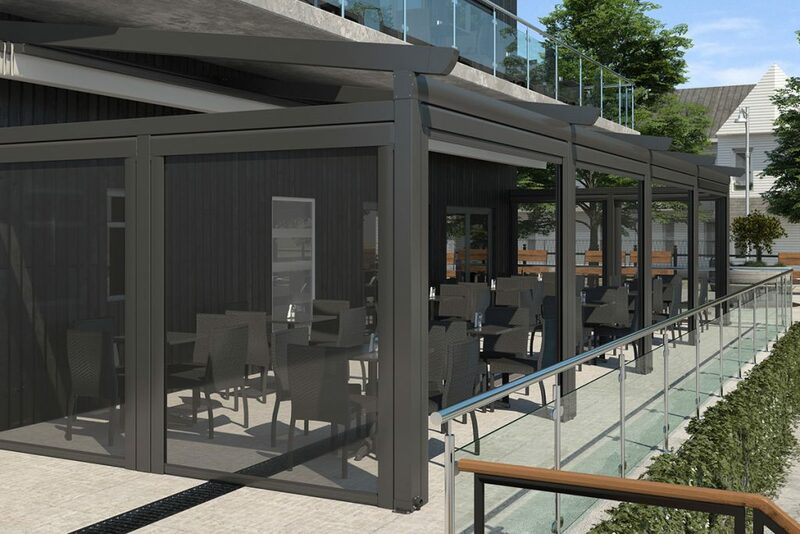 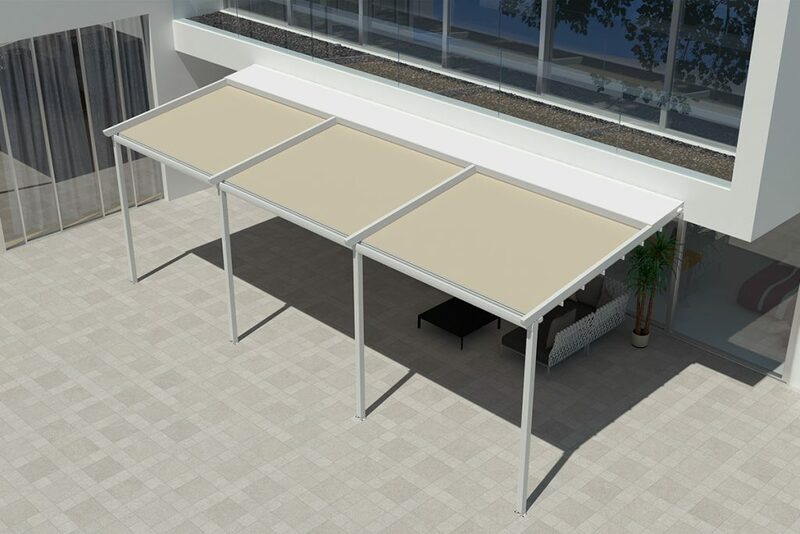 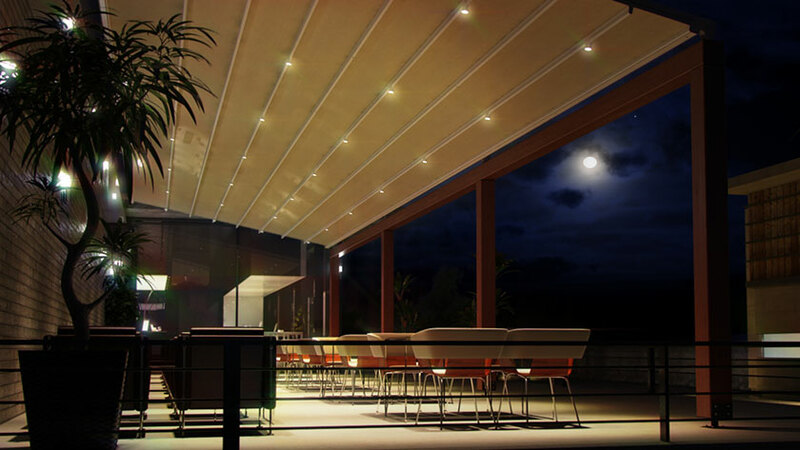 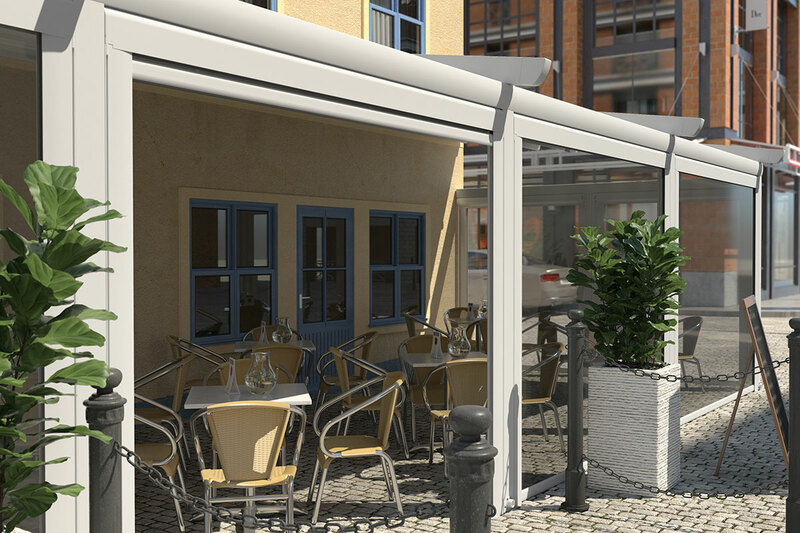 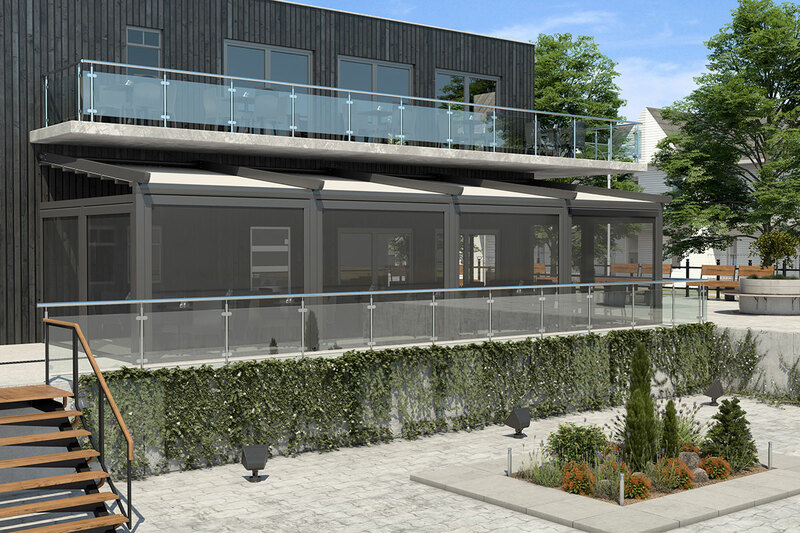 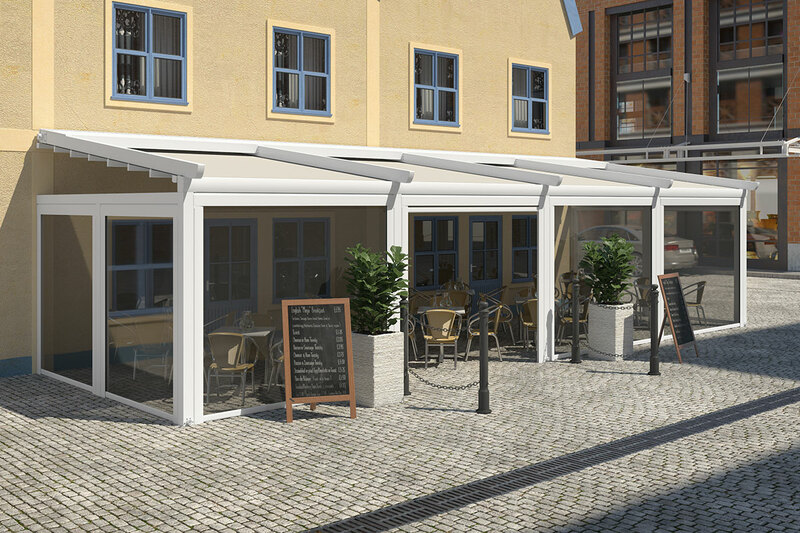 Retractable roof for variable coverage and sharing Quality construction for sturdiness, functionality, top aesthetics and safety. 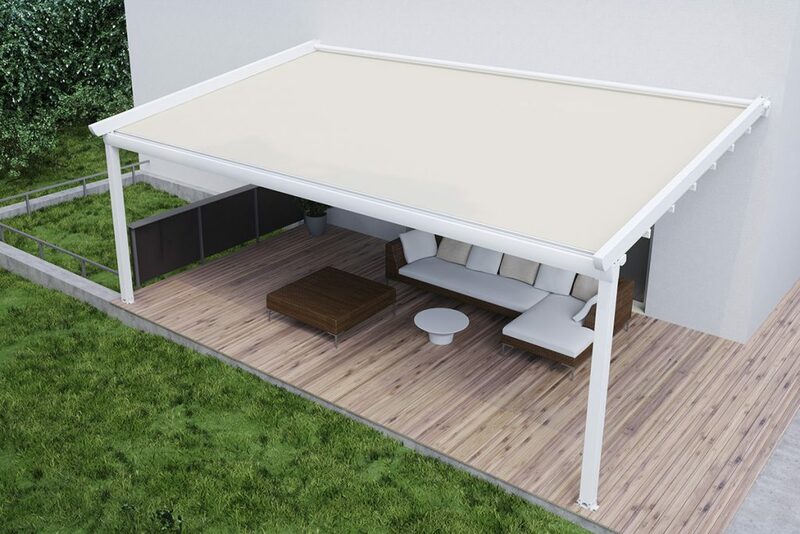 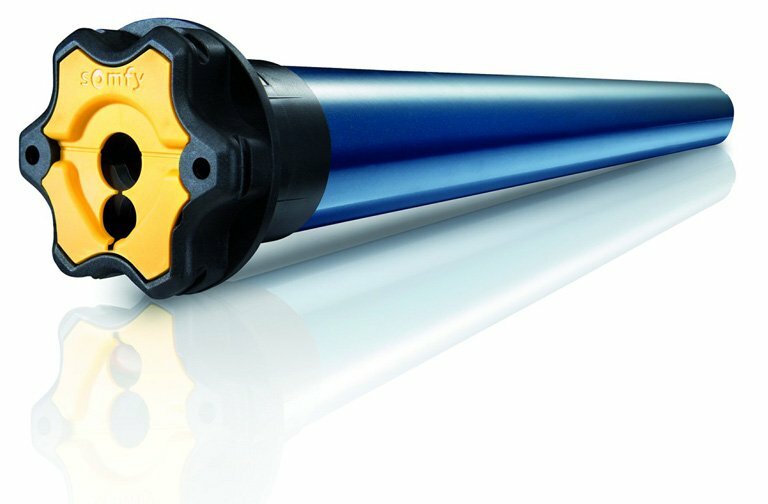 Durable protection, with certified resistance to Sun, Rain & Wind.